Homestay (bed & breakfast) in Kiev. Do you want to know more about the local people, culture, and life? Come alone or with your family, stay only one day, or one week, stay for your working visit or holidays - we are always happy to our guests! Subway station in 15 minutes. Possible to accommodate up to 6 people. The hotel apartment with three bedrooms, the kitchen, the bathroom and toilet. Host Valentina take care of you. The house is left side of Kiev,located near the modern district of Kiev near Moscow bridge near the river, the lake, lots of greenery, shops and entertainment venues. 10 min. by bus till metro "Petrovka"
Subway station in 9 minutes. Come alone or with your family, stay only one day, or one week, stay for your working visit or holidays - we are always happy to our guests! We would be happy to host people from anywhere in the world is welcome!! In our apartment you will find everything you need for your short or long stay in Kiev. 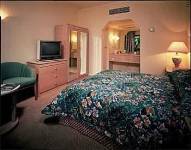 You will have your separate room, internet, bathroom, bed sheets and towels, breakfast each morning included in the price. Room is warmly with big beds and other Furniture. There are the desk and chair in your room. English-speaking hosts. In room can stay 3 people. Possible rent one more room in the same apartment(for more 2 people). Our house is located in a comfortable area in Kiev (Obolon area), 10 minutes from the subway "Minska". It takes only 15 minutes to go to the central street of Kiev (Khreshchatyk) by metro. The Dnieper River is 3 min. away from home. 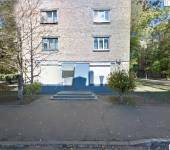 The shops, supermarkets, banks, cafes, restaurants, entertainment venues, a wa The district Obolonskiy has seen new, comfortable apartment buildings constructed closer to the Dnipro river and has become an attractive residential area. Obolon is a unique part of Kiev, being situated next to a lake with waterfront shops and restaurants. You can take advantage of a romantic walk along the waterfront or hire a pedalo for some fun on the lake. This Kiev apartment is near the Metro, a fitness centre, a supermarket, tennis courts .ter park, a sports center is near. and drive to the "Minska" metro station. Then 10-minute walk from the subway to house or you can take a minibus № 24 or 224 or trolleybus № 24 and go to - "Prirechnaya" station or walk to the sports center - the "Aquarium". Across the street from him near the kindergarten is our house. Building nine-gray with a balcony. You can order transfer service from the airport. You will be greeted by English-speaking driver with a comfortable car. Or we can meet you near Makdonald near metro Minska. 1) Accommodation in a private room. 2) A hot shower at any time. 3) Breakfast at the time convenient for you. Wishes on the menu are taken into account. 4) Free access to the internet. 5) Access to the apartment at a convenient time for you. Subway station in 10 minutes. € 14 per night from 1 person. It is calm, green area near metro "Dorogoshishi". Host name Ludmila. She live there with the hasband. She is nice and kind women, speak english! Breakfast and internet included to price. Live in our families in Kiev! Host name Ludmila. She lives there with a husband. She is 45 yers old. She is a nice and kind women, speaks english free. Breakfast and to be a guide by the histotical places is included to a price. place, park is near,the shops and the cafes around this house. I really enjoyed with stay at Ludmila's place. Hosts are wonderful and helpful. Room itself is basic but with all necessary things you will need. You will get access Wi-fi too. Ludmila was very helpful with advices. She is was born in Kiev so will know all sightseeing places in Kiev. Many thanks for nice breakfast and special home made hot sandwiches. Ludmila's flat is not far away (5-8 minutes by walking) to Metro(tube)station , which is makes easy travel around Kiev. Metro stations are very impresive and a ticket cost just 4 hrivnes(about 20 American cents). Many thanks! House in village Paskivschina Zgurovsky district, Kyiv region. Do you want to live in a simple rural Ukrainian house? We invite you to the village of Paskivschina Zgurovsky district, Kyiv region. You can arrive from May to November to us. Fresh vegetables and fruits, village life and atmosphere,nature, fresh air, tranquility you find here! You can watch agriculture, communicate with people from the village.You will have a separate room in the house, all meals (3- time a day.) In our house there is a light and gas. Water and toilet outside of house. In the rooms cozy. If it's cold, we include heating. The house has a gas stove, washing machine.If you want to see the lives of ordinary people in the Ukrainian village come to us! 2 hours by bus along a scenic road from Kiev (from the bus station "Darnitsa") and you in the house! We can pick up you by our car too! Zghurivka - urban village on the river soup. Founded nobleman Zhuroyu . The first written record dates from 1690 year. In the village is home to about 7000 people. Highlight Zgurovka a park - a monument of landscape art that was founded in 1837, Vice Governor Kochubey . The park of 325 hectares. Paskivschyna - a village in Ukraine , Zguriv Kyiv region. The population is 756 people. After the Chernobyl accident in 1986, the population of the village Stechanka Ivankov district, Kyiv region were resettled here . Zgurovka located on the left bank of the river Supy (left tributary of the Dnieper River) 32 km to the north of the railway station Yagotin . Urban village Zgurovka based XVII - the beginning. XVIII century, and in the middle of the XVIII century it was already quite large settlements. According to legend the village grew out of the village , and roosting nobleman Zhuroyu farmers dependent on him . In 1824, the village, the train his wife , passed into the possession of Count A.V.Kochubeya who built here their central farm surrounding estates. Since November 1919, actually started life Zhurivschyny Soviet period . In 1924 the township system of liquidated and Zgurovka is part of Turov district Pryluky districts in which there is to 1930. This year Zgurovka became a district center Lubenetskoho County and a year later it is referred to Yagotinsky . In 1935 Zgurovsky district changed . Then he was a member of the Kharkiv region, and from 1937 - Poltava region. Status townships granted 1956. Was part Yagotinsky until 1986, when it was formed Zghurivka area. Mention of Zgurovka is in a letter to the Taras Shevchenko Shevchenko's second cousin Bartholomew (20 August 1859). Zgurovka mentioned in connection with the desire T. G. Bartholomew Hryhrovycha help get a job. According to legend , the site of the present Zgurovka was first farm on which he settled gentleman Zhura of farmers dependent on him occupied on public land. Paskivschyna - a village in Ukraine , Zguriv Kyiv region. The population is about 800 people. After the Chernobyl accident in 1986, the population of the village Stechanka Ivankov district, Kyiv region were resettled here .